It was created from founder Chan San Feng who was a Taoist Monk. He watched the crane and snake fight each other to get the idea of the hard and soft principles to combine this and make Taiji Quan or Tai Chi Chuan. Taiji Quan is famous for it’s graceful movements and its stress relieving effects on the mind and body. This Chinese Martial Art combines relaxation and exercise in a series of continuous, flowing body movements. The slow motions of this form help to cultivate effortless movement, and create a feeling of calmness. Practitioners begin with the Yang Family style routine to acquire fundamentals, and then gradually to more advanced movements. This will help practitioners develop a solid foundation and understanding of Taiji Quan. The styles taught are Yang, Chen, Xiaoyao, Wu and Wang families in our school. Taiji practice is not only a martial art training for self-defense but also serve as a balance training that helps you in your older age. The principle of searching balance and elegance the way of living benefit you in a very big range. Taiji starts as a guide, and then the art finally leads you into the world of harmony, which is “Tao”. The circular, spiral type of movements prevents joint impact. The joints moving in circular patterns help to prevent arthritis and numerous ailments in the body. Taiji starts in searching body re-patterning through slow motion. Then with push hand practice one experience how to cooperate and coordinate with others as well as himself. When one can sync himself with the opponent, the power of both become one. There will be no opponent, neither one’s own Taiji training is begin and ended with faith. Everyone appreciate the cooperation from others as well as from themselves in this day and time. It is not to beat someone up. Or fear to be beaten by someone. It is a matter of purifying ourselves, with better skill, with much sensibility to the surrounding as well as within. Taiji contains the Chan Si (silk reeling), it is one continuous line drawn with the body, like a silk worm that uses one single thread of silk to create an entire cocoon. Taiji is thus the use of intention to circulate the original Hun Yuan Qi, as to strengthen it, the body and create the Chan Si force with it. Taiji contains Hsing Yi (consciousness intentions) as a guiding principle, the intention moves the Qi (energy), and the Qi moves the body. It also contains Hun Yuan, which is the original energy stored in Dan Tian. While practicing Tai ji the practitioner uses intention to move the original Qi from Dan Tian to circulate throughout the body, and than to return to Dan Tian. Practice Tai ji must begin with Wu Ji, and earnestly seek Yin and Yang, opening and closing. Wu Ji is a state of emptiness, before a formation of any movement, as soon as the slightest movement occurs it is already Taiji and it contains Yin and Yang, opening and closing. Spring, summer, fall and winter, in Chinese medicine is a cycle of birth (sheng), growth (zhang), decline (shou) and storage (cang) respectively. In an auspicious year the weather is harmonious with this cycle, and illnesses among the people are few. Thus while practicing Qigong Yin and Yang, opening and closing should take and even part. To summarize all that, while practicing Taiji the intention moves the Qi, the Qi moves the body. Beyond that the essence transforms into Qi, the Qi transforms into the spirit, and the spirit returns to emptiness, a search into that will bear a big progress. This is the beginning and end result for life and the Tao for our beings. Taiji Quan is an ancient healing and martial art developed in China. The purpose of Taiji Quan is to develop a more specific personal relationship between the practitioner’s body, mind and spirit. Effective Taiji Quan practice can reduce the likelihood of sickness and stress and aid in the prevention of disease. Effective practice means a strong understanding of basic hand and foot movements coupled with an understanding of internal principles. These internal principles are defined as: Stillness, Patience, Diligence, Continuous and Exactness. 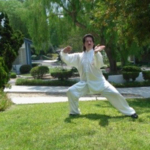 Taiji Quan is a safe, effective, natural way to improve one’s life. 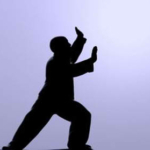 Taiji Quan is an elaborate method of Qigong and what makes it more useful is that it can be applied as a method of self defense. Instruction combines not only learning a series of forms, but the principles of internal energy development as well as the weapons and push hand exercises associated with those styles, providing the opportunity to engage in basic as well as in-depth learning. More than 300 different known martial arts styles are practiced in China. There are two Chinese Martial Art systems, the internal and the external systems. The internal system includes Tai Chi, Hsing-Yi and Ba-Gua styles. The emphasize stability and have limited jumps and kicks. The external system includes Shao Lin, Long Fist, Southern Fist, and other styles. They emphasize linear movements, breathing combined with sound, strength, speed and hard power impact contact, jumps, and kicks. There are many different styles or families of Tai Chi Chuan. The six which are practiced most commonly today are the Chen, Yang, Wu, Wu Hao, Sun, Wang and Xiaoyao styles. 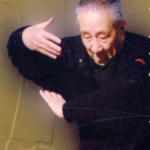 All Tai Chi styles, however, are derived from the original Chen family style. The newer ones are Xiaoyao, Consolidated and Hunyuan. Some people believe that Tai Chi was developed by a Taoist Priest from a temple in China’s Wu Dong Mountains. It is said that he once observed a white crane preying on a snake, and mimicked their movements to create the unique Tai Chi martial art style. Initially, Tai Chi was practiced as a fighting form, emphasizing strength, balance, flexibility, and speed. Through time it has evolved into a soft, slow, and gentle form of exercise which can be practiced by people of all ages. The Chen family assimilated all the arts they practiced and created their own version of the predominant art which they practiced, Cannon Pounding (Pao Chui), derived from the original Shaolin Cannon Pounding art. Sung Tai Zhu Chang Chuan formed a major part of this new art and there were elements from Shaolin Red Fist in it. What resulted is five routines of Chen family Pao Chui and one routine of `Short Hitting’ (duan da) and the song formula stated a total of a 108 postures consisting the art. There is much confusion over this particular song formula but on closer examination the correct name should be ‘Boxing Canon Complete Formula’ and is only found in the later Liang Yi Tang Ben manual. By the time the Wen Xiu Tang Ben Chen family martial arts manual was written it was noted that the `second and third routines are lost’. The Wen Xiu Tang Ben makes no reference to an art called Taijiquan or ’13 postures’ or 13 anything for that matter. So it is an early reference to the state of the Chen family arts before the advent of the Taijiquan of the Chen family that we know today. The Chen family was famous for the Cannon Pounding art for several generations and gained the beautiful name of `Cannon Pounding Chen Family’ (Pao Chui Chen Jia) in the region around the Chen village. Somewhere along the line the Chen Pao Chui art was simplified to just two routines. We have no evidence to indicated who was the one responsible for this simplification. The furthest that we can trace it back is to Chen Chang Xin, Yang Lu Chan’s teacher. But even the Chen family genealogy book does not indicate that he was responsible for this momentous change, only indicating that he was a boxing teacher with a nickname `Ancestral Tablet’. We know for certain that two of the routines were already lost by that time and so only the 3 remaining could account for the final two routines. Whether there was an integration or that another routine was lost through time resulting in the final two is not certain at all. When did the Chen arts become a form of internal boxing as opposed to to their parental arts which were external boxing? Most of the Taijiquan lineages regard Jiang Fa as the one providing the input that transformed the art from the external Cannon Pounding to the softer internal art. Some have also credited his input as the reason why the transformed art was called Taijiquan, a name reflecting a Taoist origin and also the classification of the art as an internal one. The name, however, was not widely used for the art until Yang Lu Chan popularized it in the capital city of Beijing. From the early writings, we know that the form was originally called the ’13 postures’ and by that time the name Taijiquan was already in use as evidenced by the Taijiquan Classic of Wang Tsung Yueh and the Ten Important Discourses Of Chen Chang Xin. The classification of martial arts into external and internal came about because of the new method of combat devised by Chang San Feng, a Taoist which resided in the Wu Dang Mountains. It stressed overcoming external techniques using calmness and appropriate action and from external form this martial art often looked weak in comparison with external styles but could defeat them easily. Internal Boxing was passed down through the generations with noted practitioners like Chang Sung Chi, Huang Zhen Nan, Huang Pai Jia, Gan Feng Chi and Wang Tsung. Wu Dang Internal Boxing still exists at the place of its birth though it has been diversified into many different styles in the course of the centuries. But still present in its syllabus is a form called Wu Dang Taijiquan. This bears only a little resemblance to the popular Taijiquan of today but has common theories. We know that the Chen family was famous for generations for their Pao Chui art which was a Shaolin form. It was only after Chen Chang Xin that the art was considered an internal one and specifically from the lineages stemming from Yang Lu Chan the founder of the Yang style of Taijiquan. According to Chen Xin, Chen Chang Xin learned part of his art from Jiang Fa. Chen Chang Xin had been practicing his boxing when Jiang Fa who was passing by saw him practicing and burst out laughing. Realizing that he was observed Jiang Fa hurried away but Chen Chang Xin caught up with him and angrily challenged him as Jiang had slighted his Chen family art. Chen grabbed Jiang’s shoulder from behind, Jiang simply turned around and Chen was thrown out and lay on the floor. Realizing the superiority of Jiang’s art Chen asked Jiang to be his master. Jiang who ran a Tofu shop in Xian was passing through village after visiting his mother in Henan. Jiang said that he would return after three years to teach Chen and he indeed returned at the appointed time after which Chen Chang Xin brought him home and learnt Taiji Quan from him. Chen Xin also said that because Chen Chang Xin had studied with Jiang Fa, the Chen family did not permit him to teach the family art of Pao Chui. This could very well explain why Chen Chang Xin held his classes in secret in the dead of night in the back courtyard of his home where Yang Lu Chan spied upon him. Chen Xin also introduced to Wu Tu Nan another Taiji master from the Chen village called Du Yu Wan (the source for a song formula attributed to Jiang Fa’s teacher from Shanxi which is probably Wang Tsung Yueh. This is found at the back of Chen Xin’s book). According to Du, his art came down from Jiang Fa who was from Kaifeng in Henan and that his form and Yang Lu Chan’s form was the same, even bearing the same postural names like `Grasp Sparrow’s Tail’ and the same sequence. Du told him that his Taiji Quan was not a family transmitted art but a teacher transmitted art. The previous generations of the art, that is the founder of his lineage, were present when Jiang Fa was teaching Chen Chang Xin and had also learnt the art from Jiang Fa. 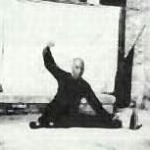 He then demonstrated his form to Wu Tu Nan and the form was the same as the Yang style of Taiji Quan. According to Chen Xin, Chen Chang Xin was very stiff in the upper body and was therefore nick named `Mr Ancestral Tablet’. 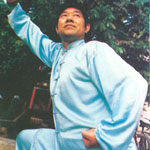 When he was learning under Jiang Fa, Jiang made Chen practice some loosening exercises to rid him of his stiffness before teaching him Taiji Quan. The rest of the Chen family continued in their practice of Pao Chui for which they were famous for. The input from Jiang Fa, who traced his lineage back to Chang San Feng, which indicates that his art was Wu Dang Internal Boxing or at the very least derived from it, would mark the change of Chen family art from an external one to an internal one. The earliest available literature on Taiji Quan indicates that the art consisted of only 13 postures, the 8 Gates and Five Steps. We know that the 8 gates were 8 postures which represented 8 different types of Jing (refined strength). The Five Steps were the five different directions of their application. These were probably incorporated into the existing Pao Chui postures and the slow, relaxed, continuous and smooth manner of performing the form, the very element which made Internal Boxing look weak, was also incorporated. The result was a long form which had all the elements of Internal Boxing, a modified Pao Chui form which was a vehicle for Internal Boxing’s theories and practices. This would have been the art that was transmitted by Chen Chang Xin. The form was also known as the 13 postures since all the techniques within derived from the basic 13. This has always been standard in the Taiji Quan Classics that have come down from the Wu Yu Xiang and Yang Lu Chan. The Wen Xiu Tang Ben does not state the existence of the new form. The Liang Yi Tang Ben, a later manual does record it but calls it the 13 sections instead. 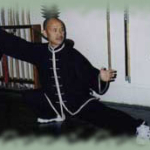 Chen Xin’s book recorded the Xin Jia of the Chen Style of Taiji Quan. The material he records is quite different from that which was gleaned from him from Wu Tu Nan. We need to first recognize that Chen Xin’s book was published posthumously. He had 3 other collaborators who published the book after his death. How much of the book is attributable to him is a matter of uncertainty. The fact that the book was only published four years after his death would indicate that considerable editing could have taken place by his 3 collaborators. The Yang related styles of Taiji Quan all agree on the classification of the basis of the art which is the 13 postures. The postures of Peng, Lu, Ji, An, Tsai, Lieh, Chou, Kao, Gu, Pan, Jin, Tui and Ding. These are the postures detailed and referred to in the accepted Classic writings. In Liang Yi Tang Ben, the form is called not only the 13 postures but also 13 sections, a rather different classification which is carried on into Chen Xin’s book where the entire form is taught as consisting of 13 sections, each section having sub-postures. This other classification is ignored by Tang Hao and Gu Liu Xin in their writings. The 13 postures actually consists of 8 basic postures and 5 movements. The 8 basic postures differ slightly in the early Chen style publications. The Liang Yi Tang Ben records the first four as Peng, Ji, Lou, Na and Chen Xin’s book records them as Peng, Lu, Ji, Na. Chen Tze Ming’s book has the same song formula as in Chen Xin’s book but here the first four are recorded as Peng, Shu, Ji, Na. The full 8 postures are named in Chen Tze Ming’s book as Peng, Shu, Ji, Na, Tsai, Lieh, Chou, Kao. It must be noted that the earlier manual, the Wen Xiu Tang Ben did not contain any boxing theory. It was only in the later Liang Yi Tang Ben that Taiji Quan was first mentioned in the Chen family documents and that boxing theory was recorded. 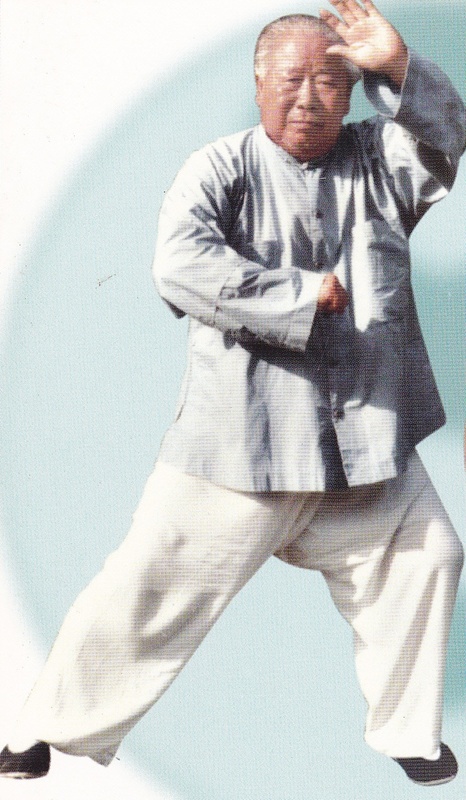 The Lao Jia or Old Frame of Chen style Taiji Quan was first promoted by Chen Fa Ke in the early half of this century. The Xin Jia or New Frame, Zhao Bao style and the Hu Lei style all retain close resemblance to each other in terms of how the postures are done. The Yang style, however, varies quite greatly from the other Chen related Taiji Quan styles. Given that this was the style first taught by Yang Lu Chan when he returned from the Chenjiagou Village, it would indicated that what he was taught may have differed from the standard Chen syllabus. However, due to the ecumenical efforts of the current generation of masters, six major styles of Taiji Quan are now officially recognized. They are the Chen, Yang, Wu Yu Xiang, Wu Chien Chuan, Sun and Zhao Bao styles. The Hu Lei style is also growing in popularity and may in time be considered a major style. The 5 greatest promoters of the art today are Feng Zhi Qiang but he passed away, Zhu Tian Cai, Wang Xian, Chen Zhen Lei and Chen Xiao Wang. Their efforts have spread the practice of Chen Taiji Quan throughout the world and continue to serve as inspirations for those who practice it. Taijiquan first became a noted martial art through the prowess and teachings of the founder of the Yang style of Taijiquan, Yang Lu Chan. It was largely through the efforts of the first 3 generations of the Yang family that Taijiquan has such a large following in the world today. The Yang lineage also resulted in three of the five most important schools of Taijiquan today. To them the Taiji communities of today owes a great debt. Yang Lu Chan, the founder of the Yang style of Taijiquan learnt his art from Chen Chang Xin, a martial arts master from the Chenjiagou Village in Wen County, Henan. 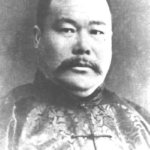 Chen Chang Xin was versed in his family martial art Pao Chui (Cannon Pounding) and was also a student of Jiang Fa whose master was Wang Tsung Yueh. From this lineage, the art was traced back to the Internal Boxing founded by Chang San Feng, a Taoist residing on Wu Dang Mountain, the founder of Wu Dang martial arts, second in popularity only to the Shaolin school. From noted Taiji master and historian Wu Tu Nan’s interview with Chen Xin, a noted Chen family martial artist and historian. We learn that Chen Chang Xin was teaching his students when Jiang Fa was passing through the village, returning from a visit from his mother in Henan and on his way back to his Tofu store in Shanxi. He happened upon Chen Chang Xin and when he saw how he practiced, he could not help but laugh. Having revealed his presence, he hurried away. Chen Chang Xin took offence at the laughter and pursued him, grabbing Jiang’s shoulder from behind. Jiang simply turned around and Chen was thrown to the ground. Realizing that he had met a superior martial artist, Chen asked Jiang to accept him as a student. Jiang specified that he would return after three years to teach Chen and he did so. Because Chen Chang Xin had studied under Jiang Fa, the seniors of the Chen villiage forebade Chen Chang Xin to teach the family art of Pao Chui which they had been famous for several generations, gaining the title `Pao Chui Chen Family’. This may very well be the reason why Chen Chang Xin held his classes at night in his back court yard. So it would seem that Chen Chang Xin’s martial art would have been part Pao Chui and part Wu Dang Internal Boxing which would lend credence to the common belief first voiced by noted Taiji historian Hsu Chen that the Taijiquan we know today was Chen family Pao Chui softened by input from Jiang Fa. From early Chen martial arts manuals we can see such a influence. The earlier Wen Xiu Tang Ben martial arts manual does not mention any form called ’13 postures’ or `Taijiquan’. The later Liang Yi Tang Ben is the first to mention the art but calls it in addition to ’13 postures’ also ’13 sections’. There have been many variations of the story of how Yang Lu Chan learnt his art from Chen Chang Xin. All are variations of the simple fact that Yang Lu Chan journeyed from Yung Nien southwards to the Chen village to eventually study with Chen Chang Xin. The most commonly accepted version is also one that is probably the most credible. We know that Yang Lu Chan was born poor, a son of a farmer. He loved martial arts and had studied Shaolin Hung Quan with a local boxer, building up a good martial arts foundation. One day as he was passing by the Tai He Tang owned by Chen De Hu, a member of the Chen family of the Chen family in Henan, he witnessed an encounter between a shop assistant (who was a member of the Chen family also) and an unruly customer. The customer attacked the shop assistant who dispatched him with ease, causing him to be knocked out the door of the shop. Yang Lu Chan had never seen such an effortless repost before and enquired after Chen De Hu, seeking instruction in this superior martial art. Chen De Hu disavowed any great knowledge but offered to recommend him to Chen Chang Xin, a great martial arts master in the Chen village. As the Chen family were rather protective about their martial arts, only family members were taught at that time. Chen De Hu wrote a letter recommending Yang Lu Chan as a servant to work for the family so that Yang could learn their martial arts. Yang traveled there and worked as a servant, earning his room and board and studied martial arts with Chen Chang Xin. As he was an outsider, Yang was not allowed to learn the Chen martial arts. As a servant he was instructed not to go into the back court yard for whatever reason. Yang felt that this was strange but thought nothing of it. One hot and humid night, Yang could not sleep. He got up and went for a walk to relieve the heat. As he walked about the house, he heard strange noises coming from the back court yard. Not able to go into the court yard, he went round the wall surrounding it and found a small hole in the wall, large enough for him to peer through and see what was happening. He saw Chen Chang Xin instructing a group of students on martial arts and breathing techniques. Excited, Yang watched attentively and then proceeded to practice what he saw alone when he had the spare time. This went on for some time. As a servant Yang often mingled with the members of the Chen family and was treated as a part of the household. One day, some of Chen Chang Xin’s students were practicing and they made some mistakes, Yang corrected them without knowing that Chen was nearby watching. Chen was surprised that Yang knew his art and asked him to explain how he learnt it. Being honest, Yang told Chen how he had come to learn the art. Chen then asked Yang to demonstrate all that he had learnt. After Yang’s demonstration, he sighed that Yang, who did not receive formal instruction but learnt by watching, had learnt more than his students and agreed to accept Yang as a student. After several years, Yang returned home where upon several local boxers wanted to test his skill since he had spent so much time studying at the Chen village. To Yang’s disappointment, he was defeated. Not disheartened, he returned for a second time to the Chen village to seek instruction. Chen Chang Xin, seeing Yang’s dedication, taught him more of the art. After several more years, Yang again returned to Yung Nien, again the local boxers wanted to test his skill. This time, though he was not defeated, he did not win easily either. Feeling that there was still room for improvement and that his skills still lacked perfection, Yang journeyed for the third time to the Chen village. Chen Chang Xin was much impressed with Yang’s perseverance and resolved to hold nothing back and teach Yang the whole art. But before doing so, he wanted to test Yang one more time. When Yang came to seek instruction, Chen appeared to be asleep, Yang sat waiting patiently till late in the day when Chen appeared to awake, Chen asked him to return on the morrow, saying that he was too tired to teach him. When Yang arrived the next day, Chen again appeared to be sleeping and again the same thing happened. This went on for several days, on the last day, Chen still appeared to be sleeping but this time his head lolled uncomfortably to one side. Yang used both hands to support his teacher’s head so that he could sleep comfortably, and since Chen apparently slept the whole day, Yang held that tiring position until Chen awoke, Chen again asked Yang to return on the morrow. The next day when Yang arrived at the specified time, a wide awake Chen Chang Xin greeted him and began teaching him the whole art. After 3 years, Chen told Yang that he had taught him all there was to learn and that he could return to his home town and that he no longer had any opponents who could defeat him. Yang returned to Yung Nien where he taught martial arts for a living. So great was his skill that he was never defeated. His art was so soft and yielding that people called it `mien quan’ (cotton boxing) or `hua quan’ (neutralizing boxing). In all his matches, he never hurt anyone. He also traveled widely, testing his skills and making friends with fellow boxers. 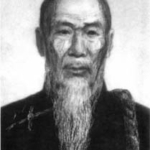 Years later, when Yang was in his middle age, he was recommended to teach in the Imperial Court by one of his students, Wu Yu Xiang (who later founded the Wu Yu Xiang form of Taiji Quan). In the Imperial Court he was tested many times but never defeated, earning the prestigious title `Yang the Invincible’. He was the martial arts instructor for the Shen Ji Battalion and also taught in Royal Households. So sought after was he that he was also called `Ba Yeh’ (Eight Lords) because eight princes studied under him. 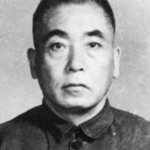 Yang Lu Chan had three sons, the oldest died early. 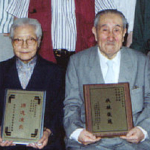 Yang Ban Hou and Yang Jian Hou both studied under their illustrious father who was a harsh taskmaster. So severe was the training that Yang Ban Hou attempted suicide and Yang Jian Hou ran away several times and attempted to become a monk. Yang Ban Hou was an exceptional martial artist, second in skill only to his father. He also earned the title `Yang the Invincible’ for his great skill. Yang Jian Hou was not as gifted as his brother and did not attain as great a level of skill initially but later, through hard work, attained the highest levels of Taiji skill, blending hard and soft to a very high degree. Yang Lu Chan and his two sons all taught in the Imperial Court, their form was identical. Later on, there would be some changes in the form and these will be discussed later. When Yang Lu Chan first taught the art in Yung Nien, his art was referred to as ‘Mien Quan’ or (Cotton Fist) or ‘Hua Quan’ (Neutralizing Fist), it was not yet called Taijiquan. Whilst teaching at the Imperial Court, Yang met many challenges, some friendly some not. But he invariably won and in so convincingly using his soft techniques that he gained a great reputation. Many have said that Yang Lu Chan softened the form to suit the unfit members of the imperial court, making the art easier and less effective, focusing on health aspects because guns were making martial arts obsolete. There is no proof beyond hearsay for this conjecture. Before Yang Lu Chan entered the imperial court, his boxing was already so soft and neutralizing that it attained the name `mien quan’ and we have record of a bout where Yang’s skill was questioned because his form was so soft, a bout which he won. Being in the Imperial Court as a martial arts instructor, it was imperative to turn out students of high attainment. It was literally a matter of life and death since with withholding anything from the Royal family was considered treason. Rather than causing the Yang art to be diluted, it probably added alot more in terms of content due to the opportunity to meet and compare skills with other highly skilled martial artist in the imperial court at that time. This is the form that was taught by Yang Lu Chan when he began teaching in Yung Nien. 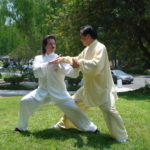 It is also the form taught by Yang Ban Hou and Yang Jian Hou initially. This form still exists today, as do several other older sets which were subsequently dropped because they added nothing to the content of the art, their essences having been incorporated into the large frame. These other sets are the Yang 13 Pao Chui set and the Lift Legs form. Though the latter could have come down to us as the Taiji Long Boxing Form. Yang Lu Chan and his sons taught the small frame in the Imperial Court and taught the large frame outside it. The Small Frame is not an inferior set but a variation of the large frame to allow combat and practice to be performed in the long sleeved, long skirted imperial robes worn by members of the imperial court. This small frame comes down to us today primarily from Yang Ban Hou’s student Quan Yu9 and his son Wu Jian Quan. The Old Yang Form was also called the `Six Routines’ and the ’13 Postures’. Six Routines because the long form was broken into six separate routines and practiced as such until the skill attainment and endurance of the students reached a point that they could link all six together into one long routine and practice it as a whole. The Old Yang Form differs only on details with the standardized Yang Form of Yang Cheng Fu. One needs to note that Yang Cheng Fu himself did not standardize the form. Its just that he spread the form so widely that his method of doing the form became the accepted standard. The Old Yang Form retains the ‘strength explosions’ (Fa-Jing) and jumping kicks (one only). We know that the sequence of the Old Yang Form and the standardized Yang Form is almost the same. From the old manual of Wu Yu Xiang also records a very similar sequence. It is interesting to note that in this old manual the name `Grasp Sparrow’s Tail’ is used. This points to the fact that the name `Grasp Sparrow’s Tail’ was in use during the early days when Yang Lu Chan first started teaching in Yung Nien. In a later compilation by Li I Yu, the name of the posture is changed to `Lazily Arranging Clothes’ which would indicate a post-Chen Qing Ping date (Wu Yu Xiang traveled to seek out Chen Chang Xin but stayed instead in Zhao Bao Villiage to learn from Chen Ching Ping). We also note that in the initial handwritten manual (1867) by Li I Yu, in his `Brief Introduction To Taijiquan’ he writes that the founder of Taijiquan was Chang San Feng. But in a later handwritten manual (1881), he amends his Introduction to say that the founder is unknown. This could also reflect a confusion of sources in after the death of Wu Yu Xiang and Yang Lu Chan. At a later period of time, both Yang Ban Hou and Yang Jian Hou changed their forms slightly and in the same way. We don’t know if the initiator of this slight modification is Yang Lu Chan, though its certainly possible. Some of the changes was the way the `Grasp Sparrow’s Tail’ postures were done and the removal of `Turn Body Double Lift Legs’ and replacing it with `Deflect Downwards, Parry And Punch’ and `Right Kick With Heel’10. Versions of this form come down to us from Wu Meng Xia who is of the Yang Pan Hou lineage and Wang Yung Quan who is of the Yang Jian Hou lineage. Yang Cheng Fu himself taught this form which retains the strength explosions (Fa-Chin) before he went to Shanghai to teach in public classes. 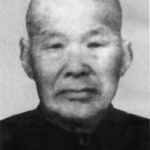 Yang Cheng Fu was invited in 1925 by his student Chen Wei Ming to teach in Shanghai. It was there that Yang Cheng Fu began to teach public classes, prior to that it he had always taught in private classes only. When Yang Cheng Fu began to teach in public classes he taught them from the basics. He removed the strength explosions (Fa-Chin) and replaced them with using qi to extend the limb instead. This is a basic practice which teaches one to bring qi to power the limb, only after this has been achieved can strength explosions (Fa-Chin) be done properly. He also smoothed out the form to emphasize flow, rootedness and relaxation which is primary to the art. Only after the flow, rootedness and relaxation are mastered can changes in speed take place without losing these qualities. These speed changes are evident in Yang Chen Fu’s Taiji Long Boxing as well as Yang Shao Hou’s small frame. Other than a few minor variations, his form remained much the same as the Later Yang Form. Yang Cheng Fu traveled extensively throughout China promoting his art. Taijiquan was already well known at that time as a combat art with great curative powers. Its mode of practice enabled both old and in firmed to take up the art to better their health. Yang Cheng Fu himself was undefeated and was a great boxer, his reputation and ability caused the art to spread far and wide and made it what it is today: the most popular form of Taiji Quan in the world. The great popularity of his form and the huge numbers of people who took it up caused it to become the standard form for Yang Taiji Quan. 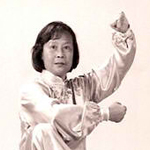 There are those who still practiced the older forms but Yang Cheng Fu’s form became the hallmark of the style. Yang Cheng Fu taught and promoted his art as a combat art. There is little evidence other than conjecture that he promoted his art solely as a health art. Both his books focus on the art as a combat art and his writings all dealt with the practice towards achieving a combative goal. In practicing the art as a combat art, one gained the health benefits as well, both aspects of the art being inseparable. 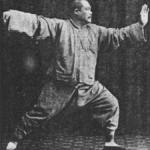 In addition to the large frame, Yang Cheng Fu also taught an advanced set to be practiced after a high enough level of attainment was reached practicing the large frame. When Yang Cheng Fu began to teach public classes, he dropped this from his public syllabus because this advanced set should only be practiced after learning the large frame. This advanced set was called Taiji Long Boxing. It consisted of 59 postures and is considerably more mobile than the large frame and includes strength explosions (Fa-Chin) as well. Many advanced combat concepts and practices are incorporated and emphasized in this form. Because its relatively short compared to the large frame, some masters have added additional postures, sometimes resulting in as many as 150 postures. This set is relatively rare today, only a relatively small number of exponents know the form and practice it. Yang Shou Chung, Yang Cheng Fu’s oldest son taught this form in Hong Kong where he resided, his daughters and advanced students continue to carry on the tradition of teaching this advanced set to worthy students. Master Wen Mei Yu learned from him and taught Shifu Marquez. Yang Shao Hou was also invited by Chen Wei Ming to Shanghai to teach at his Zhi Rou Association. Yang Shao Hou taught the large frame during public classes and his large frame was the same as that of his younger brother Yang Cheng Fu. Later, he began to teach privately in the homes of students who have already learnt the large frame or Wu Chien Chuan’s small frame. In these private advanced classes he would teach an advanced combat set which was later to be referred to as Yang Shao Hou’s Small Frame. He began to teach and practice this set exclusively. 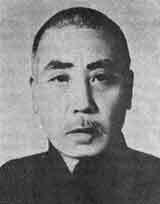 Yang Shao Hou was known to be very combat capable. He had been given to his uncle Yang Pan Hou as a foster son and had gained his uncle’s skill and his temperament. He had also studied with his father and most probably had instruction from his grandfather Yang Lu Chan as well. His advanced Taiji skills included vital striking, bone locking, bone hitting, sinew splitting, control and blocking blood vessels and psychological attack. Those who watched him were in awe of his abilities and aspired to gain them but few could take his harsh training. It is because of this that he only had a handful of students. 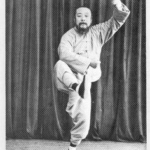 His small frame form was also called the `usage frame’ and according to Wu Tu Nan who studied with Yang Shao Hou, this set was created by Yang Lu Chan as a distillation of the essence of Taiji Quan. It has elements of both the Old Yang Form and the Small Frame taught by Yang Lu Chan and Yang Pan Hou. Consisting of 73 postures which totals over 200 movements, the form is done very quickly, striving to do the entire set within 2-3 minutes. Even at this great speed the fundamental principles of proper alignment, rootedness, relaxation, continuity of movement, calmness and coordination are not lost. This set can only be properly learnt after mastery of the large frame and its principles. In order to increase the endurance, strengthen the musculature further and foster proper alignment and root, Yang Shao Hou often made his students practice their postures under a kind of high table which was commonly used in the kitchen for the preparation of food. It is from Yang Taiji Quan that the majority of styles of Taiji Quan have developed. 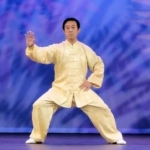 Yang Taiji Quan continues to be the major style of Taiji Quan to be practiced in the world. Sadly, however, many have come to regard it as diluted and devoid of its original martial content. Wang Zhen Nan, a great Internal Boxing expert, once lamented that Internal Boxing was dying out because it did not look strong and some of its practitioners were infusing external techniques into it to make it appear more credible. 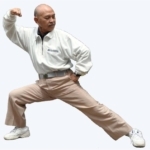 Fortunately, Taiji Quan has had great masters to show that is credible both as a martial art and as a health art. Yang Taiji Quan has not changed all that much since its foundation by Yang Lu Chan, only minor changes have been made to the way its been practiced and its main practice set. Its syllabus is still practiced and still bringing benefits to all who practice it. The Yang family still continues to promote their art vigorously and new generations of teachers are being trained to carry on this glorious tradition.